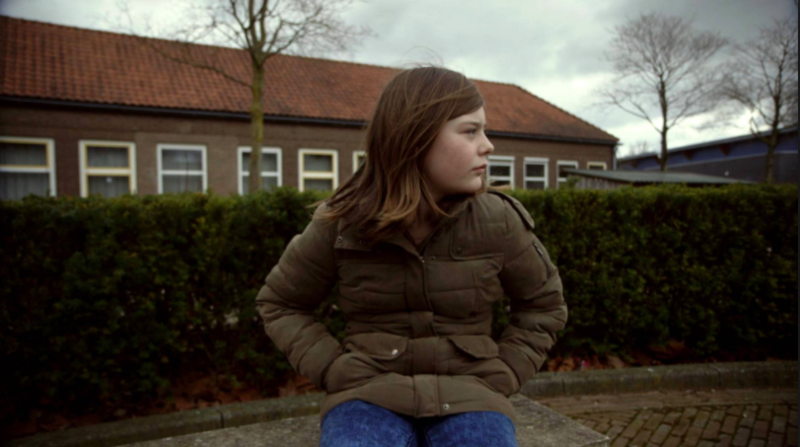 This story is about Alicia, a young Dutch girl who grows up in a foster home. A year after she is born she is forcibly moved out – her mother couldn’t take care of her. Once she has a new foster-family, the father died. Once again, the mother is unable to handle the responsibilities. Since then, she has been waiting for a new home. Watching ‘Alicia’ is an excruciating experience. You want her to do the right thing. You want her to say something else. You want her to find better fortune. But it doesn’t happen. Documentary-maker Maasja Ooms follows Alicia for a period of three years. Ooms spent the first three years of her life in a foster home, which motivated her to make this film. She was unsure how to approach the film – would she take an interviewer role? Would she (inevitably) bond with Alicia and let it show on camera? Ultimately, with all the material, it was decided to enforce a ‘show don’t tell’ style. The documentary is filmed close-up and raw, in a fly-on-the-wall style. Alicia and the others who appear are never interviewed, we just experience life inside the foster home. This is incredibly well documented – every inch of this tough environment is explored. What to do in all this free time, how the children co-exist, the role of the caretakers. Ooms got the artistic freedom to film everything – including scenes which are very painful. In order to avoid spoiling some of the most moving scenes I’ll just mention the opening scene – Alicia is lying on her bed and is crying her heart out. She might be overreacting because of the camera, but it seems genuine. It was promised to her that she would receive a new home, however the caretakers explain that it’s tough because she’s a ‘special child’. ‘But I’m not special, I’m a normal girl!’ she exclaims. It doesn’t help, acceptance is the only way forward for Alicia. Due to the way that the documentary is made, the viewer is put in a juxtaposition. Alicia is not a very likeable child. She’s is rude and yells a lot to the other kids and the caretakers. All of this is seen first-hand – she reacts to the camera and the person behind it. It doesn’t create a lot of empathy, yet you root for her to change, to find peace in a new home. In an emotional moment, the mother of Alicia explains to one of the workers that she wants to make sure Alicia is safe and moved to a locked ward. The worker disagrees, stating that she will live a horrible life there. During those moments, Alicia has another breakdown and is seen being carried to her room by a woman and two men. The camera is turned to the floor, however we recognise her howling and her tiny body forcibly being taken inside. These are the type of moments where the documentary earns it strides – albeit at the expense of Alicia and her erratic behaviour. The viewer is shown how tough it is inside these foster homes, how these children are constantly on edge, how patience runs out. All of this builds up to an ending that can be expected, yet the closing shots are agonizing nonetheless. Alicia is a documentary which is unique in the sense that it really makes you feel like you’re there yourself. Even though the shots aren’t beautifully filmed, or the angle isn’t always perfect, you’re drawn in by the hopeless Alicia, the girl who is permanently in the middle of a lost highway, with no end in sight. Previous Previous post: What if the world woke up vegan?